In the recent Voice survey the main relationship that the sector wanted to develop was with the 2 CCG’s. Over the next 12 months it will be a priority for CVS to work with our colleagues in the CCG to do this. Many of you will be aware that there are some significant changes planned across Cheshire with the 4 CCG’s working together in the development of a single commissioner and two Integrated Care Partnerships in Cheshire. Brexit - How are you planning for a no-deal brexit? Brexit - Deal or No Deal - how will it affect you? We have been asked by Cheshire East, who are putting no deal plans in place, how the sector is planning for a no deal Brexit. My response was, not sure, lets find out. So I have put together a short survey to find out what you are doing to prepare for a no deal Brexit. · Cheshire East Council wish to be part of a meeting/event with small and rural VCFS organisations to discuss how we can work together more effectively when it comes to service delivery and ensure that the smaller organisations are able to be part of partnerships or have the chance to bid to deliver services. The New Homes Bonus funding has been announced and all bidders have been notified, congratulations to those that achieved funding it was a very competitive process and so you should be proud of your bids. If you didnt get the funding don't be too disheartened as overall the funding was 7x over subscribed and so your bid may have been very good but you just missed out. The Early Help Framework closed for new applications and the successful bidders have been notified by Cheshire East Council. 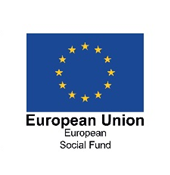 The ESF TA project ended on 31st October however CVS has still continued to be part of conversations to represent the sector in the development of the ESF bids. Hello there, to anyone and everyone who may be reading! My name is Natasha; I am a student and a shiny, new volunteer for CVS. What brings me here, you may ask?